In 1918, the United Kingdom passed the Representation of the People Act, resulting in a major overhaul of the UK’s voting system. The law expanded the number of men who could vote dramatically, and, for the first time, granted the right to vote to some women. In this case, that right was limited to only a certain class of women, but enough to make women 43% of the electorate. A decade later, Parliament enacted the Representation of the People (Equal Franchise) Act 1928, which gave women equal voting rights to men. These rights were hard fought for. Around the world, most advocates for women’s suffrage acted through rhetoric and, wherever possible, via political machinations. But in the United Kingdom, the tactics used by suffragists were often less peaceful. Peaceful protests were often met with violence, and many women demanding the right to vote decided to not back down. As Mental Floss noted, in the early to mid 1910s, one group of suffragists, led by a woman named Emmeline Pankhurst, took to the streets to physically move the nation toward equality: “Pankhurst and her protestors were radicals, setting mailboxes on fire, throwing ‘flour bombs’ at the Prime Minister, and smashing windows of shopkeepers that refused to support their cause.” And when the authorities came after Pankhurst and company, the women had something else to offer: jiu-jitsu. Around the same time Pankhurst et al were in their worst battles against the police — ones which they often lost — they found an ally in a woman named Edith Garrud. Garrud and her husband, a physical education instructor named William, had studied martial arts together and had become masters of jiu-jitsu themselves. In 1911, Edith Garrud began offering a class for female suffragists only (who became known as “suffragettes”), teaching them how to defend themselves against members of law enforcement — that is, against trained men who were typically larger and empowered to use force. Garrud’s top students became what the Guardian described as a group of 30 or so elite jiu-jitsu masters who acted as bodyguards for Pankhurst’s much larger contingent. Garrud rarely took part in Pankhurst’s protests — as Mental Floss further noted, “the suffragettes didn’t want to risk arrest for their secret weapon, and so Garrud rarely joined the fray.” But as seen above, depictions of Garrud and her proteges made appearances in the local political cartoons. 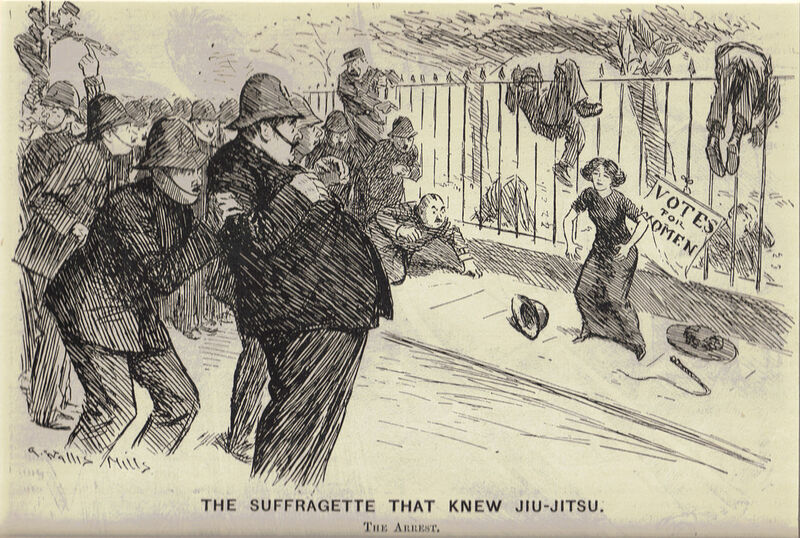 According to the BBC, the fact that suffragettes practice this martial art even permeated the language at the time; the term “suffrajitsu” entered the local lexicon. While Garrud’s teachings helped further the suffrage movement, she never really entered the public spotlight. She and her husband closed up their dojo in or around 1925, after some women gained the right to vote but before true gender equality came to the political process, and she did not openly participate in politics thereafter. She passed away in 1971 at the age of 99. Bonus Fact: The last European nation to grant women the right to vote was Liechtenstein, which did so in 1984, as reported by the New York Times. It was the fourth time the nation offered a referendum on women’s suffrage and was a close call, with 2,370 votes in favor to 2,251 against. Like two of the previous tries (1973 and 1971 being the others), only men were allowed to vote on the referendum. But the first attempt — 1968 — was different. Women were allowed to vote on the ballot measure, and more women (2,507) cast ballots than men (2,228). Despite this, the ballot measure failed. Men were against giving women the right to vote by nearly two to one, with 887 men voting for suffrage and 1,341 voting against. Women, on the other hand, were almost evenly divided — 1,268 voted for the right to vote in the future, but 1,241 voted to not allow themselves or other women to vote again. The measure failed by 9%. From the Archives: Leasing the Kingdom: How to rent Liechtenstein. Take the Quiz: Name the first 20 nations to give women the right to vote. Related: Suffragette. 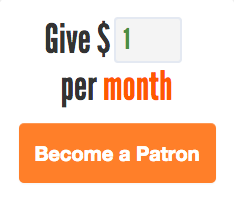 It’s a movie not yet on DVD, which is a fictionalization of the efforts of Garrud and Pankhurst. May still be in theaters as of this writing, depending on where you are.